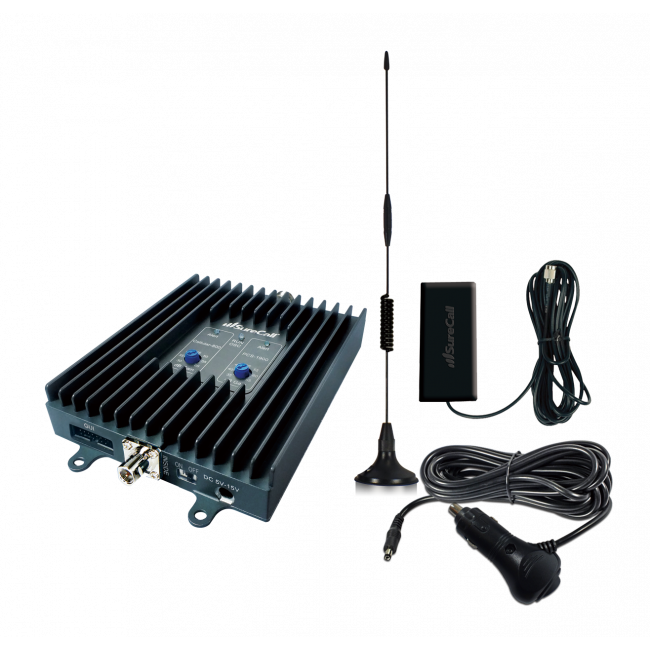 The Flex2Go Mobile 3G Signal Booster Kit by SureCall will boost the 2G and 3G networks from all major carriers in your car, truck, RV, boat, or other vehicle. 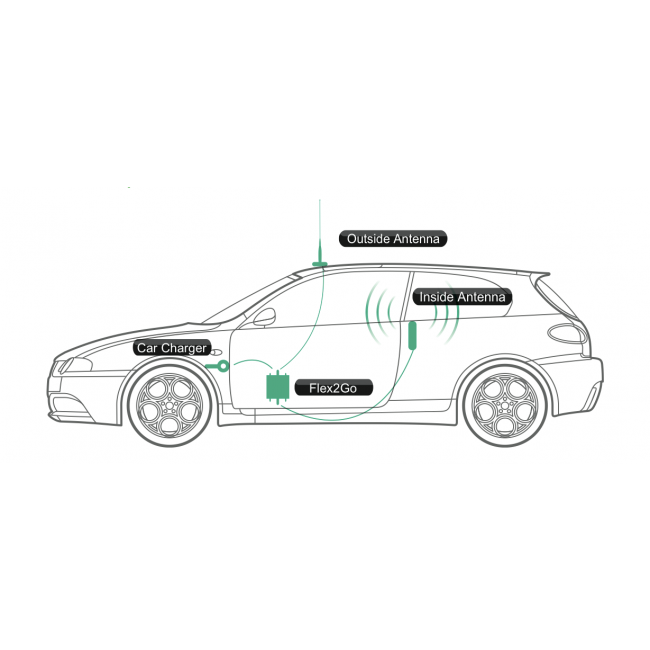 The 50 dB amplifier will boost the signals used for voice calls and 3G data wirelessly so there's no cradle or direct connection to your phone. The wireless connectivity also means that multiple phones and data devices can take advantage of the boosted signal at one time. The Flex2Go is the most powerful mobile system allowed which ensures that you'll receive a usable cell phone signal in the most places possible. 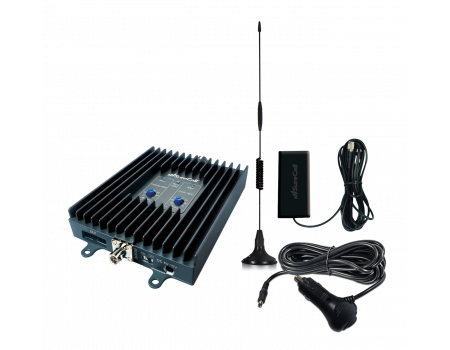 This Flex2Go Kit includes everything necessary for a standard vehicle installation including a magnetic roof-mount antenna, the Flex2Go amplifier, inside patch antenna, and a 12V DC power supply. The following shows a standard installation of the Flex2Go system.